Sonic Boom takes place mostly near a village in a place called Bygone Island. Well, it’s never called that in the show, but rather in the Rise of Lyric video game. Dr. Eggman lives high up in an evil layer atop of a volcano while Sonic and his friends live in different huts near the beach. The only exceptions are Sticks who lives in a burrow and Knuckles who sleeps out among the stars and has no home of his own. Most of Sonic and pals daily activities include hanging out together, playing volleyball, eating at the local Meh Burgers and mostly defending themselves and the island from Dr. Eggman’s daily attacks. The villagers themselves all have their own personalities and quirks. Fastideous Beaver is a nerdy grammar Nazi who starts most of his sentences with “actually”, Soar the Eagle is a self-help guru/TV reporter, Comedy Chimp is a late night talk show host/poor comedian and Dave the intern is a dorky, teenage beaver with braces who works at the Meh Burger and longs to become an evil mastermind. Having a diverse cast of characters like this gives the show a bit of a “Simpsons” feel as you get to know every bit player. A man so egotistical, even his pajamas have his face plastered on them. This is partially due to the nature of the animated series being CG. Unlike traditional 2-D animation which is hand drawn, every character and environment in CG has to be hand made in a computer from scratch. Errr…well, whatever “from scratch” means in CG anyway. Ask any amateur CG model maker and they’ll tell you how hard it is just to make just one model. Now, you have to make dozens of characters and environments for a fairly small budget CG show which is why characters like Soar and Fastideous are re-used in different ways and may have multiple jobs. This also explains why certain backgrounds have been re-used over and over again. The canyon in the first episode has been a site of a crashed meteor in “The meteor” and even had lava added to it to become a volcano. Because of this, the show feels very limited in scope. We’ve been to the beach in front of Amy’s house dozens of times and boy, do Sonic and the gang love their volleyball and visiting Meh Burger. Despite this, the island does have several different locals that give off a different feel of atmosphere depending on the location. From the jungle area and beach where Sonic and friends live in huts (Gilligans Island style), to dessert canyons to Eggman’s high tech layer atop an active volcano. It helps give the show a sense of variety while still using many of the same locals. In this episode, Sonic and the gang figure out who farted. This has been the cause of much controversy as the characters have gone through quite a few changes when coming to this show. I’ve accepted it for the most part as it’s a different cannon from the games entirely and tends to have a different feel. Let’s look at the individual characters and weather their changes improve or hinder the character shall we? Please note, I’m not gonna talk about the cosmetic changes to the characters as that horse has been beaten to death. Sonic’s still the freedom loving dude with a ‘tude, but his ‘tude has been neutered a bit compared to other versions. Much like Bugs Bunny in the new Looney Tunes show, he’s become a straight man. His attitude and behavior tends to be more reactionary than brought on by something he’s done himself. Despite his ego being a main part of his character in the games, here even Amy and Knuckles show more attitude and ego than Sonic does. He’s still got his humorous moments, but they are mostly reactionary as well. Tails is the character with the least changes. His “little bro” relationship with Sonic is as strong as ever (especially going by the first episode alone). He does have a little bit more of a “nerd” aspect to him as his inventions tend to put him on the bad side of his friends (only to fix said invention and save the day as many Tails-centric episodes seem to go). By far, Amy has had the biggest improvements over her game counterpart. Not only has Cindy Robinson drastically improved her performance of Amy over the “Minnie Mouse” version in the games, but gone is her boy-chasing, lovesick side. Replaced now with just a secret crush on the blue blur (which he may have as well). She’s a much more stronger and independent character. She’s still a girly girl, but in a much more calm and humorous way. when she’s not playing therapist to Eggman and Sonic, she’s knitting sweaters for baby penguins or painting a portrait of herself painting a portrait. Easily the most improved character overall. She no longer smothers Sonic while trying to get his affection, but instead treats him equally the same as her other friends. This leads to situations where she and Sonic can have a lunch together with zero romantic implications. Knuckles is…well…I really like this Knuckles, but he’s so drastically different from his game character that I can only accept him as Knuckles idiot cousin Olaf who thinks he’s Knuckles and has somehow fooled others into thinking the same. He’s larger, less grumpy and FAR dumber than the Lego shoe wearing original, but DANG if Knuckles idiot cousin Olaf isn’t the funniest character on the show! He’s rarely a center character and is usually just in the background, but every time he comes on I smile because I KNOW something funny is gonna come out of his stupid mouth. Also, he has a far better relationship with Sonic than in the games. Instead of being a bitter, but friendly rival, his rivalry only comes from the games he and Sonic play together. Otherwise, they act as best friends and constantly hang out together. Then there’s Sticks the fifth wheel. I mean, Jungle Badger. She has her funny moments for sure, but I often wonder why she’s even here? What does she really provide to Sonic’s circle of friends. To Sonic, Tails is his best friend/little bro, Knuckles is his other best friend/Rival/Big bro and Amy is a longtime friend/possible love interest. 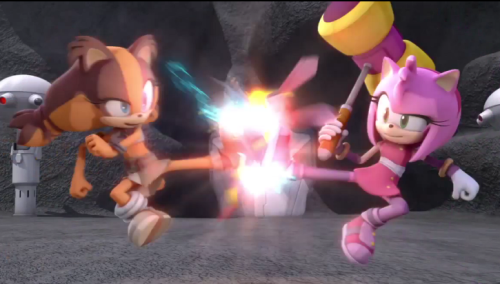 to Sonic, Sticks is just “Amy’s friend” and that’s it. She rarely does anything to fit in with the others and tends to get on Sonic’s nerves more than help. If anything, she’s pushes herself away often as she’s suspect of everyone including her own friends at times. She’s like a new character that’s added in a long running situation comedy when they’re running out of ideas. The one aspect I like do about her is her opposite approach to situations with Amy. Amy might try to solve a situation with a diplomatic approach while Sticks would solve it with direct violence. With proper writing, she can be a great character, but for now, she needs a fair amount of work. It would be nice if we got to know her better through an introduction/origin episode, but it doesn’t look like that’s gonna happen. As for now, she has her moments, but is my least favorite of the group. 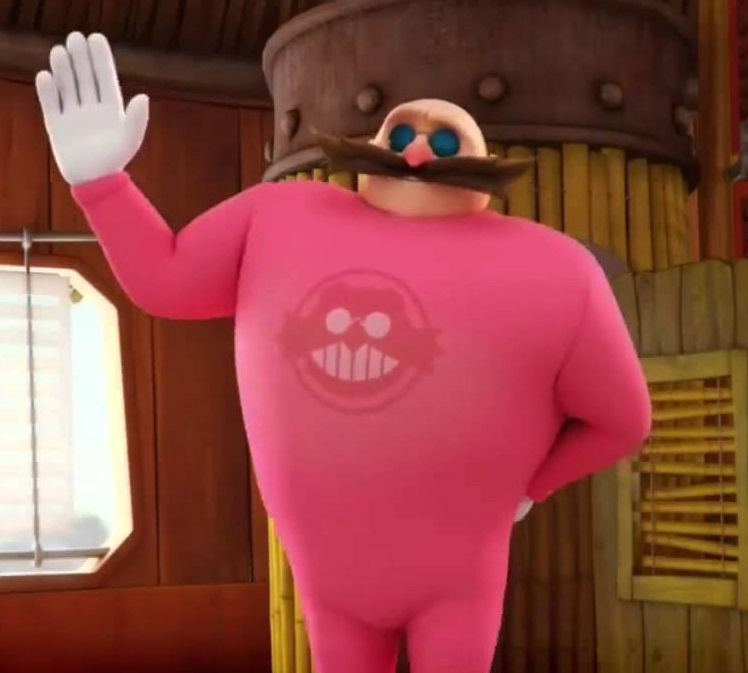 Then of course, there’s Dr. Eggman, the REAL star of the show. Not only is he the driving force of many a plot, but he’s hilarious as well. A selfish and incredibly childish man who’ll stop at nothing to destroy Sonic and his friends, yet will pal around with them at times. Eggman is a man of many talents. Cook, dishwasher, sales entrepreneur, evil despot and SonAmy fan. 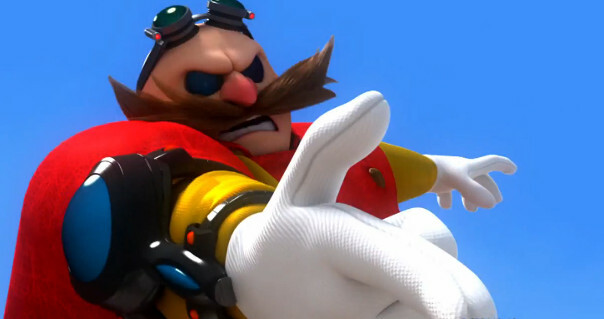 Evil, childish and very egotistical, Eggman is one of the most lovable villains around. 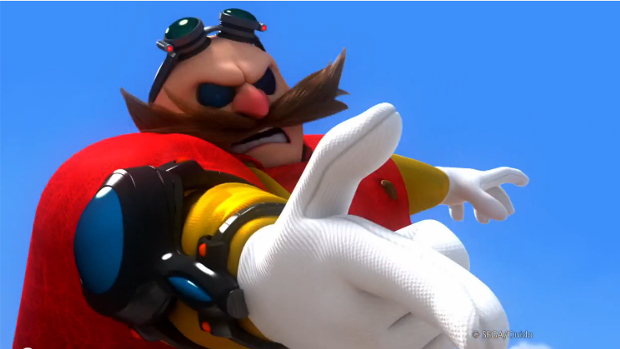 My only criticism is that this must the most ineffective Eggman/Robotnik has ever been. While he has come close a few times with some of his evil schemes, he’s never been shown as a real threat to the heroes. Even the comical Robotnik of AOSTH fame has had some minor victories and is trying to take over the world. Here, Eggman can’t even get past Sonic to take control over a small village. Still, his ego won’t allow him to realize that and he claims his victories defeats are 50/50. 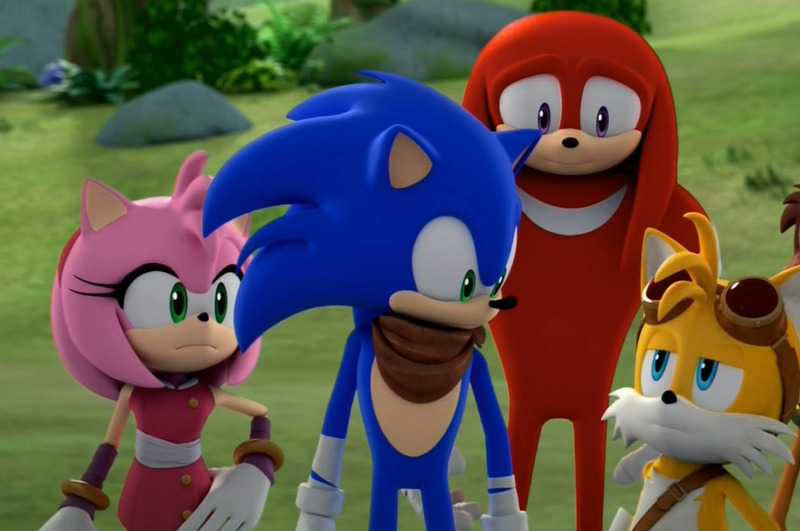 As a situation comedy, Sonic Boom knocks it out of the park. Every 11 minute episode has jokes a’plenty and there’s no a single episode made that hasn’t given me at least one laugh out loud moment. Eggman tends to be the best when it comes to humorous situations, but Knuckles is by far the funniest out of the main five. Situations often bring themselves up for humorous solutions and the light-hearted nature of the show is something I just love. There are some groaners that are obviously meant for kids but for the most part, it’s smartly written with plenty of humor for adults to enjoy. I look forward to every 11 minute episode every week. However, the problem with being a situation comedy, is that it doesn’t leave much room for adventure. Sonic by nature, is an action/adventure hero and there are far too many stories that are way too domestic. Sure, there have been stories like “Buddy, Buddy Temple” or “Circus of Plunders” where the action takes place away from home, but more than often every action scene or fight takes place at either Eggman’s lair or in front of the hero’s homes. Eggman and Sonic only attack each other when they’re not hanging out with each other, or cracking jokes. Next thing you know, Sonic’s next adventure will be returning an overdue library book. Oh wait! THAT ACTUALLY HAPPENED! Now don’t get me wrong, I’m really enjoying the show and it’s hilarious, but I just wish there was a better balance of humor and adventure. I think the first episode “The sidekick” was a good example of that. Also, there isn’t that much variety in the kind of stories told. Eggman comes up with a new attack against the heroes and hi-jinks ensue. Tails latest invention misfires and the gang turns against him only for him to re-tweak it and save the day (that happened 3 TIMES in less than 20 episodes). Sonic and the gang get interrupted by some villainous event as they are eating at Meh Burgers. As T.W. Barker once put it, it “borders on formulaic”, so much so that Sonic and Eggman actually schedule their next fight in their planners. Now, I can’t totally blame the writers on this as being a CGI show, you are limited to the number of locals that a story can take place. This leads to all stories mainly centering around the island village. This can easily lead to stories feeling similar and less adventurous. Also remember, they told us from the start that this show was a situation comedy and in that case, it succeeds greatly. If there’s one difference that bugs me a bit, it’s the unnecessary change to the Badniks. Sorry, I meant “Minions”. 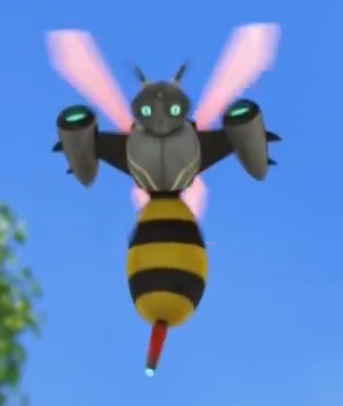 While Motobug remains Motobug, the Buzz Bombers are now called “Bee Bots” (despite the fact they are actually based on wasps) and Crabmeat gets the too descriptive name of “Robot Crab”. Bill Freiberger says this makes it easier for kids to know which minion is which, but to me it’s like calling a Goomba from Super Mario Bros “Shroom Head”. These characters have been around since the first game so for me, changing their names just feels wrong. Speaking of lack of names, Tails plane is known as…. Tails plane. not “the Tornado”. 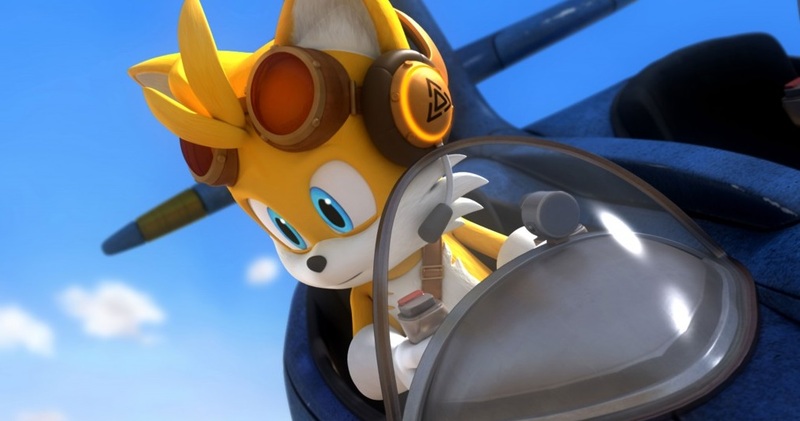 This also feels off as we have an episode that shows just how much Tails loves his plane and it has almost become a character in his own right. If you love something , even an inanimate object, you tend to give it a name. It’s actually unusual for him NOT to. All said though, Sonic Boom is a hilarious cartoon. Eggman’s childish antics are always fun to watch and I look forward to Knuckles idiotic comments each and every week. While fairly domestic and less adventurous, the stories tend to be a lot of fun and the character interactions lead to some great, hilarious moments.Not to mention that Sonic seems closer to his friends than ever before. The enjoyment I have for this series outweighs my criticisms. If I had to list it in my favorite Sonic animated series, it would be close to, if not at the top (Sonic SATAM is tough to beat) and since we still have an entire second season to go, it may end up my favorite Sonic series in the long run. Not trying to be mean or anything, but how could you do a review on the show or season if it’s not even done yet? Great review though. I would call it a mid season ish review though. I think the difference here is that each episode is self contained, and there isn’t any overarching continuity to follow, so we can build up a good idea as to what the rest of the series will have to offer. So whether you like the show in this instance is dependent on if the amount of episodes you like outweigh the ones that you don’t. ^ What he said basically. We got 24 episodes in the can. From this, we have a very strong idea of what the show is like. This review is pretty much spot on for me. Boom’s got some great humour to it, but it would be nice to see something more of an adventure. To be fair the writers didn’t plan for Cartoon Network to rearrange the order of episodes that were produced into a broadcasting order. Some episodes take place sooner than others and some take place later. That’s why some plots repetitively happen. It’s not the show’s fault but more so Cartoon Network’s. Another thing that Cartoon Network is more so to blame than the show itself: any abrupt endings. The writers didn’t know Cartoon Network would only air one segment a week. As for the adventure aspect they made it clear that that was not going to be that much of a thing in the months before the premiere. It was constantly promoted as a “comedy show with elements of a sitcom” and generally you don’t get adventuring with that especially when everyone and everything is close by and there’s not much need to go on a journey. The Badnik name change isn’t really that big of a deal. It’s Robotnik/Eggman all over again IMO. However I will agree that Sticks has been rather useless so far. It really seems like she just serves as a representation of Boom canon to indicate the difference between that and the main universes and nothing more. And even then you’d think she’d do more. There’s still plenty of episodes left however. I’m not reaching a full opinion until we’ve seen this season conclude. But I honestly feel like this show is well worth it. It depends on your opinion, really. I just look for laughs, the whole point of the show, and that’s it. And it does that very well. ‘Pretty much agree with everything you just said… except the whole “Buzz Bomber/Bee Bot” thing. I don’t really see it as the Eggman/Robotnik situation, as there is only one actual name (which is Buzz Bomber.) Not once in the actual series have they been referred to as Bee Bot… But this is a different series, so the name change itself isn’t that big of a deal. It was more so in the sense of “it’s change which is automatically bad”. For me, I felt it was a change that was unnecessary. Did it need to be done? No. But it’s not a big deal. It’s definitely an unnecessary change, but here’s the thing: these are mooks. Badniks. The most basic of enemies that die in one hit. They aren’t characters, so a name change is just so insignificant when it’s applied to something that gets blown up every episode and nothing else that nobody should care. It’s more light-hearted than other shows, but I like that. For me it also very much understands it’s target audience – the show is clearly aimed at kids, yet there are still a number of jokes that the older members of the Sonic fanbase can appreciate. It’s a good thing this review is not on TSSZ, otherwise there would be 99 comments that says this review is totally wrong. They would call out this show for what it is: An insult to the Sonic franchise. Thankfully, a year from now it will fade into obscurity once the (teen-oriented) movie and game are revealed. This show isn’t an insult to the Sonic fanbase. This show is no more an insult to the Sonic franchise than AOSTH was way back in the early ’90s. wait…TEEN-oriented movie AND game tie-in? And HOW is that any better than a low-budget kiddy oriented sit-com? Sometimes I wonder if the fanbase is an insult to the fanbase. Well if the movie is ditching the horrid kiddy stuff we’ve been getting for the past five years then it will be a step in the right direction. I don’t believe a game tie-in was ever confirmed, only rumored. I, personally, enjoy the Sonic Boom show. Sure, not every episode has made me laugh but a good portion of them have. My only real niggles are the fact alot of episodes get cut short or end very abruptly (although I understand that’s not the creators fault, that’s CNs fault for not letting them know how much of a timeslot they were getting beforehand) and the Badnik and plane renames (though minor, I guess that’s the fangirl in me). That joke with Knuckles and the whole uncooked chickens on his hands was the moment I completely fell in love with the show. I do, however, agree with the renaming section. The renaming of Buzz Bomber (sorry, Bee bot ugh), Crabmeat (Sorry again, Robot Crab UGH) and The Tornado (again, apologies, Tails’ Plane… T_T) REALLY annoys me since there’s no reason for it. They say it’s so kids understand what’s what better yet they were named what I didn’t put in brackets at the start of the entire franchise, when a large proportion of the fanbase was, funnily enough, small children! We understood it fine! Kids are NOT idiots. Name a plane The Tornado, they’ll know it’s a bloody plane, not a tornado! Name a robot WASP (not bee!) Buzz Bomber, kids will know what it is by its name by association, same way they learn what a bee or wasp even is in the first place! Very awesome review, Jason. I’d say almost spot-on. I, myself, like this Knuckles. Obviously if this were the main universe, that’d be another story, but for who he is as a character, I enjoy watching his antics. Sticks, on the other hand, doesn’t add anything for me (and sometimes even detracts from some episodes), especially when the other characters are funny in their own ways. I know it’s really hard to do (I have trouble doing so myself) but, just TRY to ignore Johnny. He’s beyond help. Your cranium will thank you later. Comments like this are not needed. Do not post stuff like this again. I’d like to add something about Sticks. I’d assume most people didn’t like her since her existence is just to tie things in, but the great part is, she hardly speaks. The time she broke the invention Tails and everyone else approved of irritated me. No matter what, it ain’t funny. She’s the newcomer and the 5th wheel. Where does she get off being higher than others like that? And jesus, such a whiny brat. And so..contradictory.. Superiority complex much? You don’t know anyone, and no one cares or wants to know you. Shut up and get off the internet. This crap won’t solve your abandonment issues. Throwing attitude and insults, real original. It’s all the same in the end..the same old rings, the same old loops, same old springs. What makes you different from the last damned teen? I kinda find it funny the people above saying it’s an insult to the fanbase. 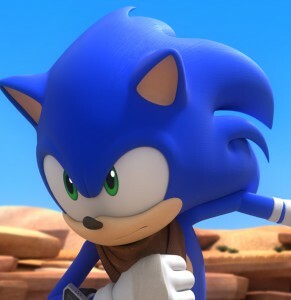 to be honest i’m more insulted that the fanbase are liking sonic boom as much as they are, xD i thought everyone loved sonic because of how the characters acted not just their designs. everything i loved about the characters has just been morphed into something gross. they took their worst traits. minus amy and tails. and just got rid of anything awesome about them. to me sonic was all about being cool and awesome, this show to me is not that. i am aware it’s a different take on it like an AU, and for children, but children don’t need to be treated like their retarded or they can only enjoy really childish things. it’s upsetting for me, as i’m a big sonic fan and, these days everything just seems to be about sonic boom. thats all everyone draws, everyone is interested in talking about. and i really tried to get into it. i stopped watching it at episode 4 because i got so bored, went back when more episodes where added in hoping it had got better. only to find it hadn’t. the jokes don’t do anything for this show. they are like xmas cracker jokes. i didn’t even think anyone found that kind of bad humor funny. just seems to me like a lot of people are bias against it because either there is one certian apsect they like it in. a pairing they support. or just sonic is in it, then suddenly that makes it a good show in all aspects. no it doesn’t, there is so many faults even with the animation being very juddery and slow at times, some pauses where there isn’t needed, causing certian parts to feel akward. I don’t mind sonic boom being a thing, i just don’t get whats with all the obsession over it. is it that now as people we just put up with everything bad that comes out because thats all we are given these days so we might as well just accept it, and look over any flaws, and oh it’s not that bad, so i’ll just back up and support it like it’s the best thing since sliced bread. I’m sorry but you can’t have a good show with isolated 11 minute episodes. plus they should have used traditional 2d animation. It makes sonic look way better. The so called action sequences in the show are awful and repititive, and they didn’t “change” the characters personalities they just looked and the character models and al little background info and shoved them into children’s show stereotypes. Sonic: generic hero dude who believes in the power of friendship. Tails : smart weak kid. Shadow: bully who thinks friendship is weak. Robotnick: non scary villan who never wins and constantly talks about how evil he is yet never actually is evil. 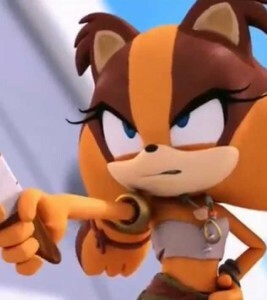 Count me among the few that don’t like Sonic Boom. I don’t hate it, I just prefer Sonic when the plot, setting and characters are serious like in the Sonic Adventure series, the Archie comic, and SatAM. Nice review. I enjoy watching Sonic Boom. Sure it’s not the best comedy-cartoon I’ve ever seen but for what Sonic Boom is trying to accomplish, it’s pretty good. I know many people are upset this isn’t Satam or Sanic Ball Z (Sonic X). It’s understandable, sonic mixed with sitcoms don’t work for some people. I personally don’t mind the change.